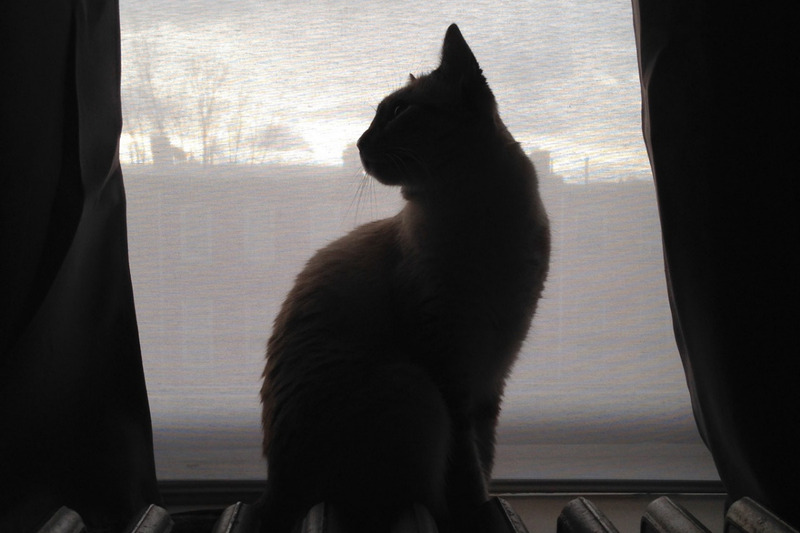 Our cat Shumai is our sun, moon and star. She has cancer. In September our veterinarian found a large mass in her abdomen that turned out to be a tumor in her small intestine. A cell site sample confirmed a diagnosis of lymphoma, a cancer of the white blood cells. 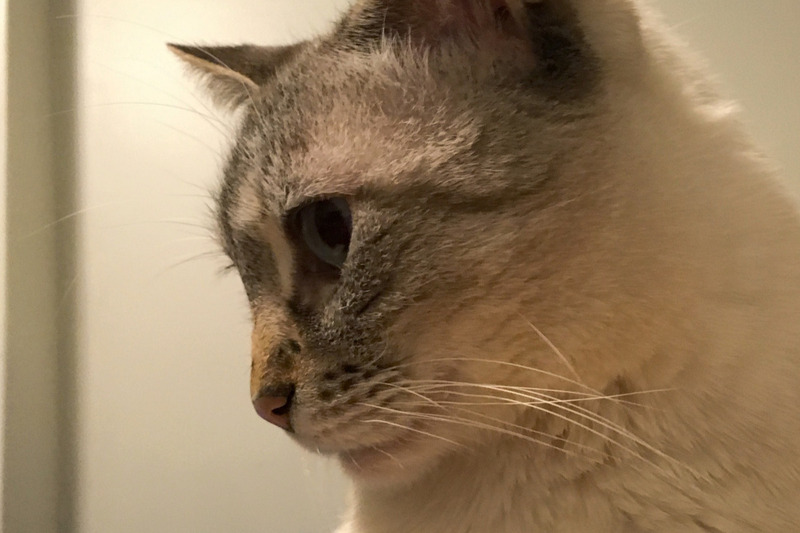 In October Shumai underwent successful surgery to remove the tumor, which by that point was larger than her head, and her recovery since then has been remarkable: she's (mostly) back to being the bright, friendly and fussy kitty she has been for the past eight years. 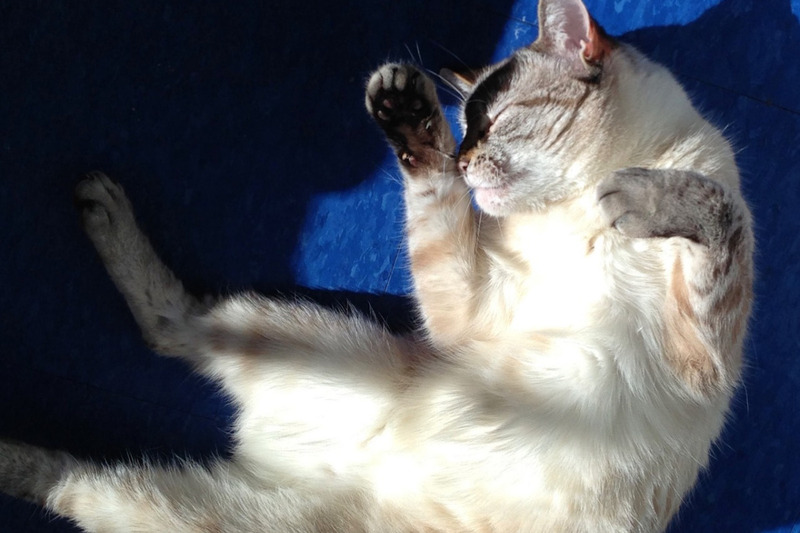 Removing the tumor made Shumai's life better, but it did not get rid of the cancer. Our oncologist has suggested a course of chemotherapy for Shumai to treat the cancer and improve Shumai's quality of life. Chemotherapy for cats is quite expensive, but its side effects in cats are much less dramatic than they are in humans, and many cats with this type of cancer go into remission with the kind of aggressive treatment we are pursuing. Shumai's chemotherapy is already under way. We didn't want to start a fundraiser until we knew that Shumai would respond well to the treatment. So far, she has, and now we want to make sure she has every opportunity to thrive for years to come. Money from this fundraiser will be used to pay for the remainder of this current course of chemotherapy treatment and help pay for any future treatments. We brought Shumai into our home when she was (we believe) a little over a year old. It's a cliché, but for us it is literally true: she rescued us, not the other way around. While she has lived here, no matter how extreme the upheaval in our lives, Shumai has assumed the role of caretaker, seeking us out to comfort us when we are sick or distressed. We would be lost without her. 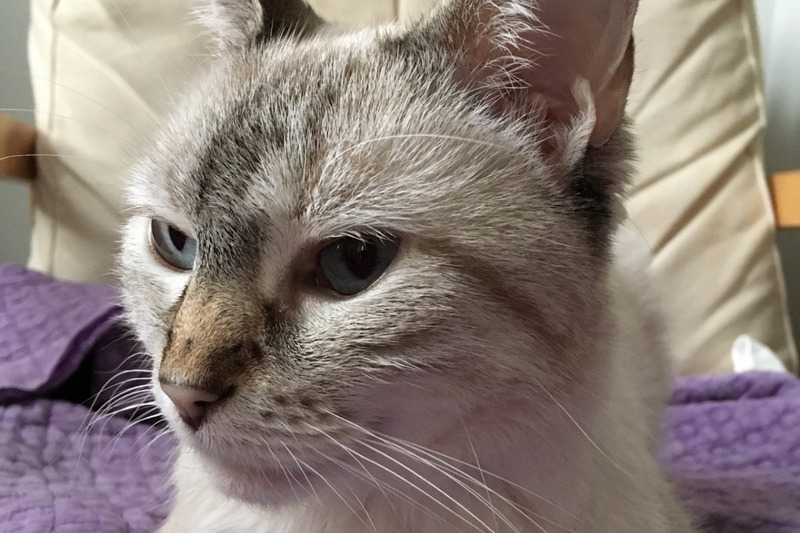 Shumai's illness came as a surprise, and it will be a challenge for our household to absorb the continuing full cost of the treatment (which has already added up to many thousands of dollars). It means so much to have our friends, family and community on our side during this difficult time. Thank you for your support! For more pictures and videos of Shumai (and her sidekick Althea), visit Shumai's Instagram . I wanted to share an update with everyone who has donated so far. First of all, THANK YOU! Every day Shumai's recovery is a source of amazement and joy for us. She has gained back much of the weight that she lost leading up to and after the surgery, and has mostly gone back to her old habits—greeting us at the apartment door when we come home (only sometimes escaping into the building's hallway...), sniffing the bottoms of our shoes for news from the outside world, sunbathing in the south-facing windows, hopping up to her bed on top of the tall dresser for naps, doing tricks for treats (including the world's softest, most delicate high-five—I really need to post a video of this). Meanwhile, Shumai's chemotherapy continues, and your donations have helped us to pay for the better part of a month's worth of treatment. She's receiving skillful, gentle care from the oncology team at VERG Brooklyn and nowadays doesn't even seem to mind getting into her carrier to go to her appointments. We don't know what the future will bring, but for now Shumai is happy and healthy and we are so delighted and strengthened by her presence in our lives. Thank you again!